If it’s about 60°F and you’re ready to plant your tomatoes outside, then it’s warm enough to plant summer bulbs. If your days are still cold, start your bulbs indoors in pots. Then, move them to the garden when the weather improves. Or, leave them in the pots to liven up porches and patios. Dahlias, canna lilies, begonias and gladiolus all make great additions to yards. Head to your local garden center to find out which spring flowering bulbs are best for your region. 1. Visit your local garden center to choose your bulbs. 2. Select where you want to plant your bulbs so they’ll get the right amount of sun. 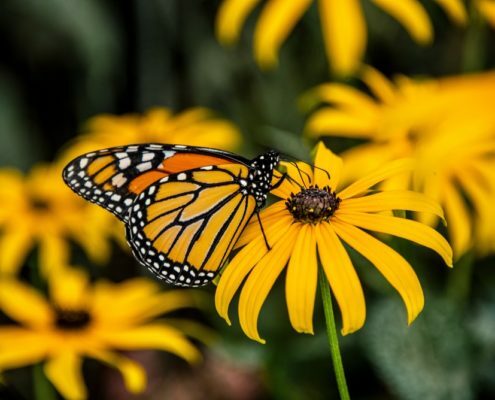 Choose a place where they won’t be accidentally dug up, such as under a tree, in a lawn or in a perennial bed. 3. 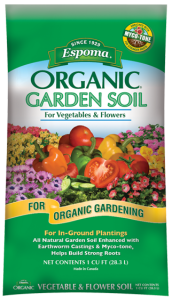 Plant bulbs using a spade or bulb planter in well-drained soil to the depth indicated on the package. Some bulbs, like dahlias, need to be planted deeper. 4. Sprinkle Espoma Organic’s Bulb-tone in the hole and place your bulb. 5. Replace the soil, gently pressing it down and water your newly planted bulbs. 6. Cover bulbs with a layer of mulch to keep moisture in and weeds out. Once your bulbs have bloomed, remove the faded flowers but leave the foliage. They bulbs will use it to store energy for next year. Are your spring bulbs spent? Watch how Garden Answer cares for tulips after they’ve bloomed. Seeing all of your hard work and tiny seedlings bloom into amazing plants full of color is the best part about gardening. It’s easy to bring the essence of the outdoors inside. All you need is a cutting garden. Choose blooms that will make you happy, even if they don’t look particularly pleasing next to each other in the garden. This is your place to be creative and make amazing floral bouquets to brighten your indoor spaces. Autumn brings a change of color. This list shows off vibrant fall plants that will keep your bouquets fresh and on trend. This filler adds a bright pop of color to any arrangement. 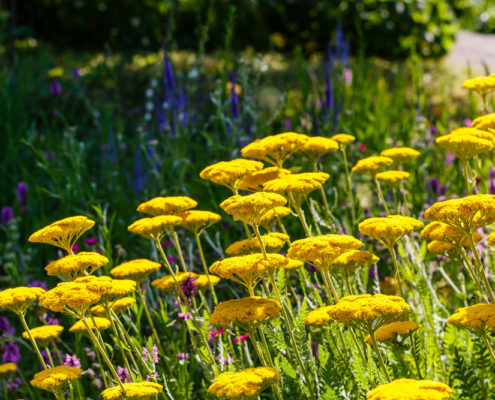 The mustard yellow flower can vary from short, packed blooms to long, spacious blooms. Goldenrods require minimal care and can grow almost anywhere. 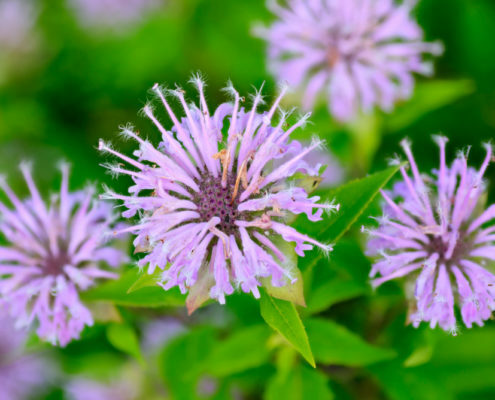 A reliable performer, blue mist spireas are the perfect addition to any fall cutting garden. 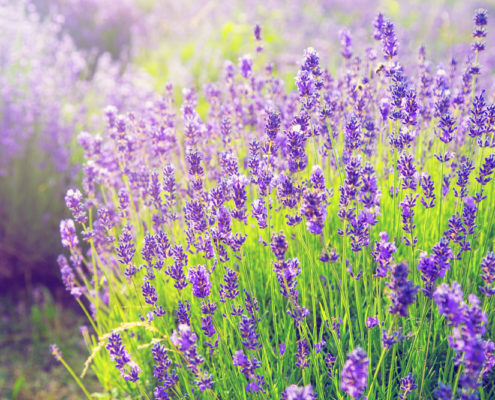 Use individual stems or entire branches of this purple-blue flower. Blue mist spirea will grow about 2’ to 3’ tall and wide with 1” clusters of flowers. Since sunflowers come in a variety of colors, keep autumn tones in mind. Seeds are easily germinated and will bloom within 60 days after germination. Pollen-free sunflowers are best for bouquets. Scope out an open, well-drained, sunny spot for your cutting plants. The size of the space depends on how many plants you want to grow. Don’t think you have space? Plant cutting flowers between your vegetables rows. Or add them to containers on your patio or balcony! Check plant tags to see if your site meets the requirements for sun exposure and growing conditions. Be sure to keep the layout of the garden in mind. Leave spaces between the rows to make cutting and collecting easier. Plants that are the same height work better together— for you and the plant. 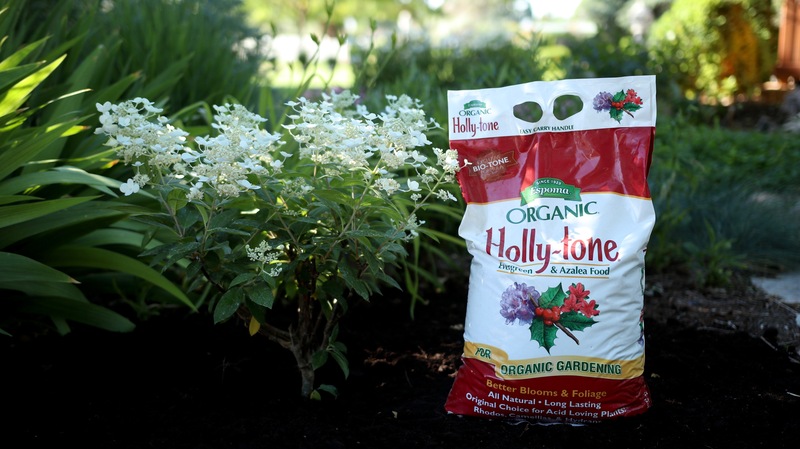 Make sure your soil is clear of any debris and weeds – you don’t want your flowers competing with anything else. 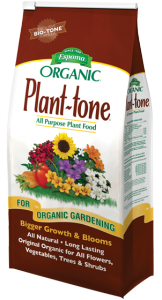 Work in several scoops of Espoma’s Bio-Tone Starter Plus in to the soil, to give your plants a good head start. Planting with seeds or seedlings are both great options for this garden. They are planted an inch into loose soil. Fertilize regularly with Espoma’s Liquid Bloom! Plant Food for the best results. Make sure to water flowers at least weekly. As your plants start to bloom, keep cutting. The more you cut the more flowers you will get! It’s as easy as that. Looking for more inspiration? Learn how to plant this easy fall flower container with Laura from Garden Answer. Summer brings prime-time vegetable growing season and the delicious harvest of our fruit and vegetable gardens. But what happens when that summer heat gets a little too hot and leaves drought-prone areas high and dry? Don’t stress — even though water is an essential component to vegetable gardening, there are plenty of ways to grow healthy, fresh veggies during dry times. Try these low-water vegetable gardening tips for success all season long. When planting in dry conditions, amending your soil is crucial to success. 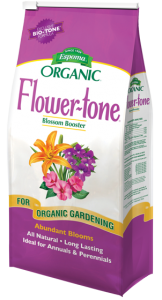 Start with Espoma’s Bio-tone Starter Plus for big, healthy blooms. Then, add rich compost to the soil to increase water retention. After you have a healthy soil as your base, be sure to add mulch. A 3-4” layer of mulch on top of your soil can reduce watering needs up to 50 percent. Mulch keeps the soil cooler and traps moisture in the soil, instead of allowing it to evaporate. When it comes to drought-tolerant vegetable gardens, plan strategically. Raised bed gardens and containers retain moisture better than open gardens. Instead of planting in straight rows, plant in a zig-zag or diamond pattern. With plants spaced out, their leaves create more shade and keep the soil cooler. Try companion planting, too. Pair plant varieties that work well together and benefit from each other. Some of the water used in overhead watering systems never makes it to the soil. Most of the water evaporates on the leaves before serving its purpose. Instead, try a drip irrigation system for more efficient watering. Drip watering methods can use upwards of 70 percent less water by avoiding evaporation, runoff and wind. Soaker hoses are another water-saving alternative. Lay the hose across an especially dry patch of soil while small holes in the hose allow water to seep through to the soil. If all else fails — move your garden indoors! Grow smaller varieties of vegetables in small spaces. While indoor vegetable gardens still need proper watering, the soil won’t dry as fast as it would in the hot summer sun. Love the heat and the sun? Learn more about succulent gardening here!